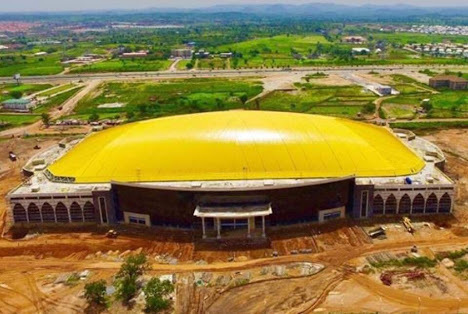 Bishop Oyedepo, the Presiding Bishop of Living Faith Church, otherwise known as Winners Chapel, will on Saturday, November 25, 2018 dedicate the Glory Dome in Abuja. The 100,000 capacity edifice, built by the Dr. Paul Enenche-led the Dunamis International Gospel Centre is believed to be the largest church auditorium in the world. It is located along the Nnamdi Azikiwe International Airport Road, Abuja. IDOMA VOICE recalls that on September 14, 2014, Bishop Oyedepo was invited for the groundbreaking ceremony of place. A tour on the Lord’s Garden on Wednesday showed that the awe-inspiring auditorium has no single visible pillar supporting it as the pillars are embedded in the walls while the beauty of the golden dome roof is more obvious. While Dr. Enenche’s spiritual father, Bishop Oyedepo would officially dedicate the building on Saturday, other men of God such as WF Kumuyi of Deeper Life, Evangelist Reinhard Bonnke, Morris Cerullo, Bishop David Abioye are expected to be present.